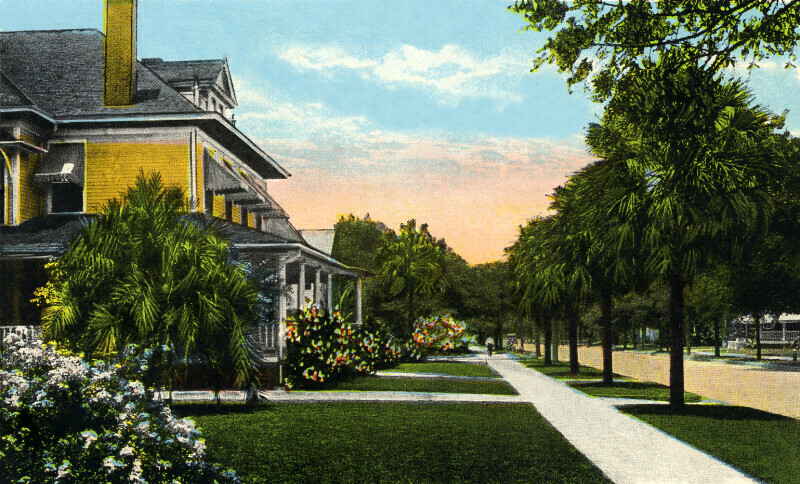 This is a view of the large, two story houses that line Plant Avenue. Each house has a walkway that leads to the sidewalk that lines the road. Between the sidewalk and the road, there is a line of palm trees. The yards have lush lawns, and are landscaped with palm trees and flowering shrubs. WARNING: You are about to download a 4.6 MB TIFF!